A film is a cut in a cut in a cut. Lygia Clark escaped with the paint out of the frame, created in the cut, an escape cut. The screen is a frame, a defined space, that if the contents have escaped by a cut, the limit becomes the whole. The Festival Ecrã is an event of audiovisual experiments that thinks a different way to see the work of collaborative form between curators and participants. This project arose from the desire to question the film industry and its "primordial elements" and to give space for filmographers to experiment freely in audiovisual production. The Festival Ecrã will take place from 17 to 22 of july, 2018, at the Cinematheque of MAM., Av. Infante Dom Henrique, 85, Flamengo Park, Rio de Janeiro. 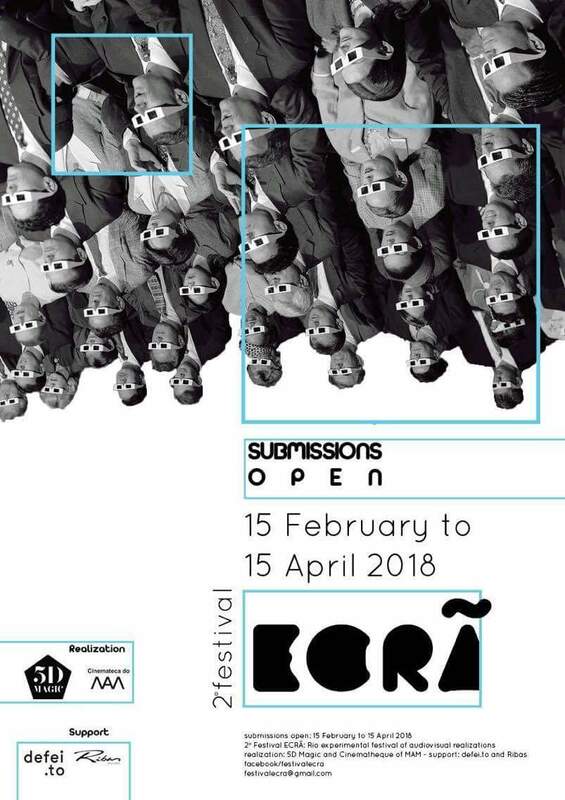 The purpose of the Festival Ecrã is to promote and encourage the exhibition of experimental audiovisual experiments and videos, selecting them for their originality, discourse and project. Audiovisual experiments may cover any media, device or other vehicles whatsoever.